Properties in Barbarano Romano average 4.8 out of 5 stars. Property 6: "Vera" country house in Capranica! 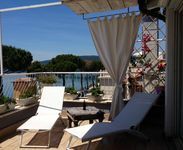 Il Ciliegio Villa with pool - Lake Bracciano - Rome 8 - sleeps 17. Property 8: Il Ciliegio Villa with pool - Lake Bracciano - Rome 8 - sleeps 17. Property 12: THE SPA ANCIENT. Property 27: Villa Margot Sutri a stone's throw from golf! Property 37: Ronciglione Castle "The Torrioni"
Property 46: Holiday home in historic building, speed wi-fi free, 1st cat. We (party of two) stayed at this special loft for a few nights at the end of October. Paolo was by far the greatest host we've ever had in our time staying at vacation rental properties; he greeted us upon arrival and told us some info about the wonderful town, he continued to check in on us when we would go downstairs for breakfast each morning, and he ensured the loft was comfortable and to our liking! The loft itself was great - perfect for a couple on their honeymoon! The balcony looks out onto the lake and makes for a perfect location to enjoy some wine and watch the sunset. We rented a car, so it was very easy to go from the loft to the nearby train station (about 20 minutes away) and into Rome. Note that you will have to pay for parking when at the loft. We loved our time here and highly recommend this loft!